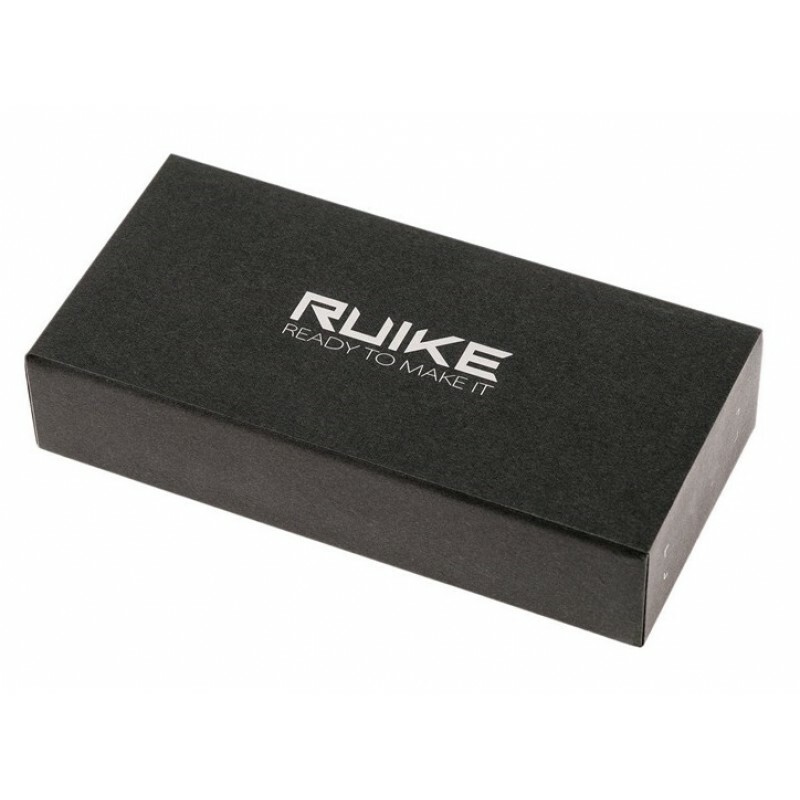 The M series is the Mid Sized model in the Ruike pocket multi-function Criterion Series. 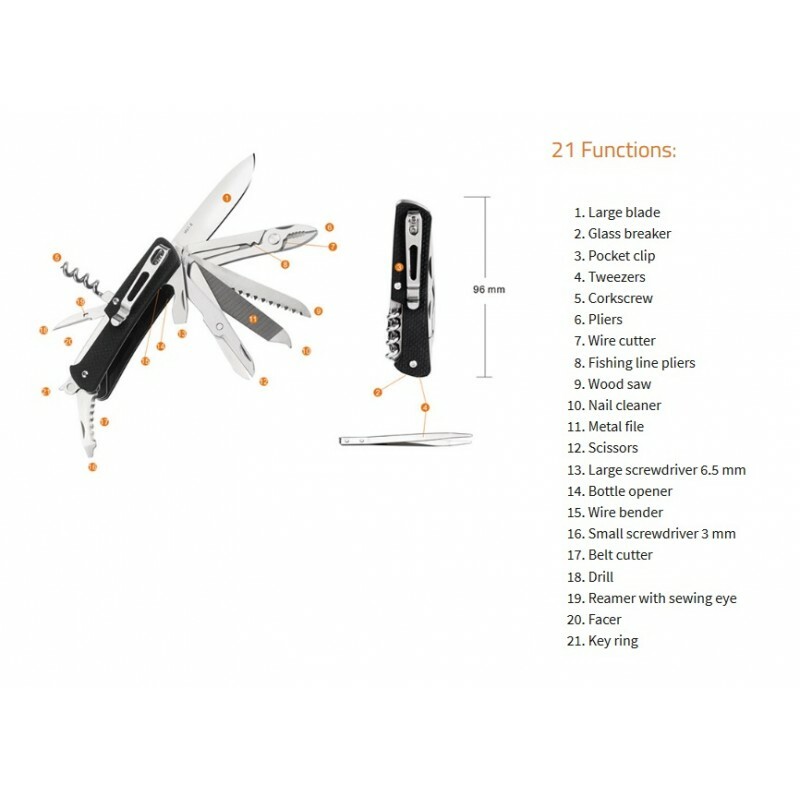 Each M series knife is fitted with a pocket clip and a tungsten steel glass breaker making the knife ultra-portable and super practical for emergency situations. Manufactured from Sandvik 12C27 stainless steel with black G-10 composite handles, the M series comes in various versatile tool combinations to best fit your requirements. 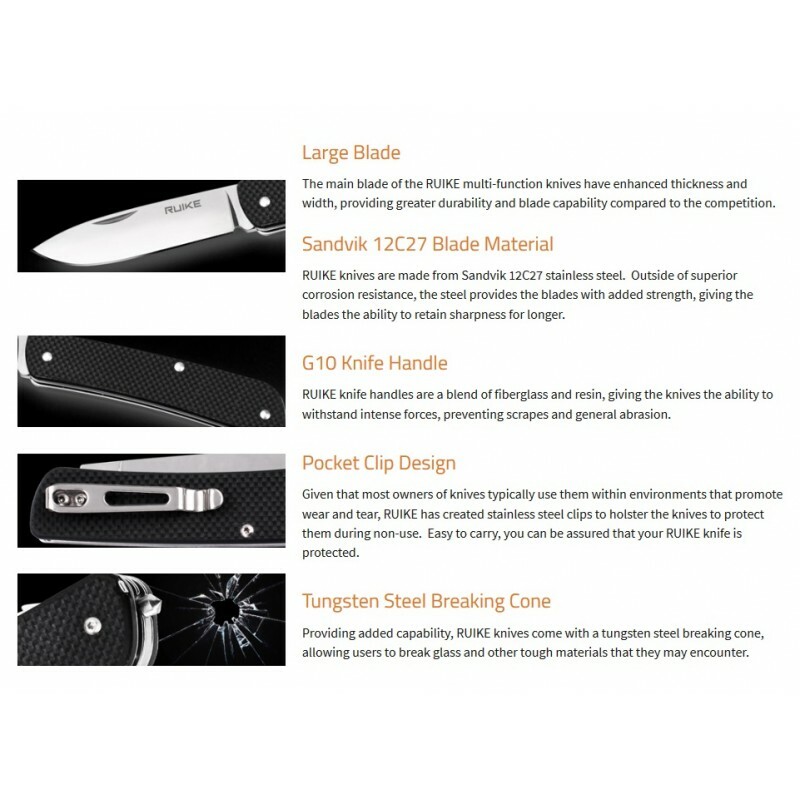 M61 offers an 71mm primary blade, Pocket Clip, Tungsten Glass-Breaker, G-10 composite handles and 21 total tool functions. 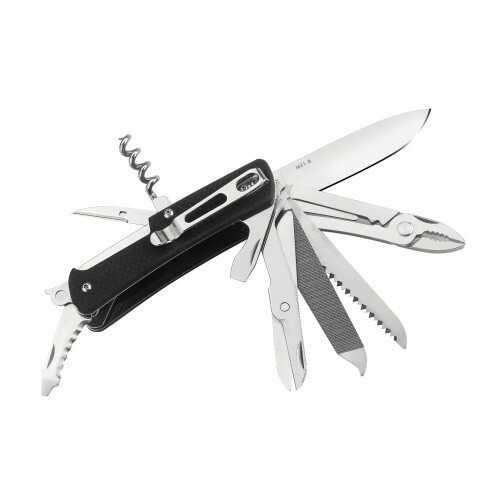 Supplied in attractive black box kit, this product is an ideal high-quality gift that will last a lifetime. 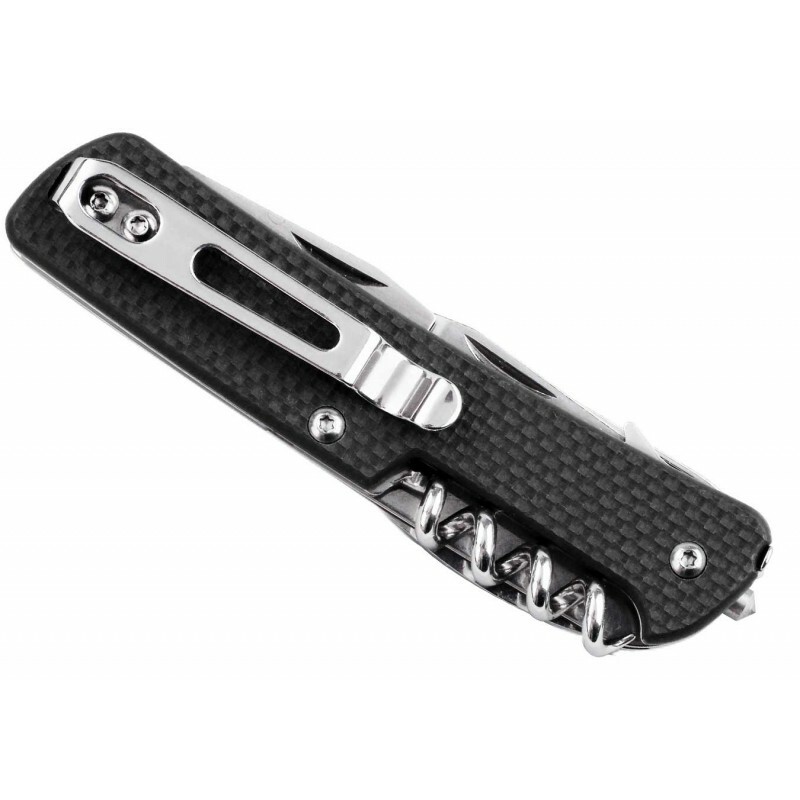 Blade Length: 71mm / 2.79"